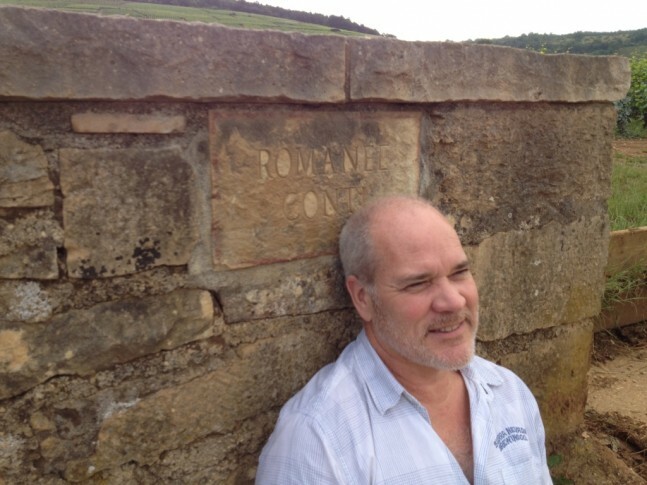 Our Wandering Palate West Australian correspondent, Terry Chellappah, has been wandering a long way from home, in England and France, but he’s back in Margaret River although his head in still in burgundy. Even though it sends pangs of yearn, he shares their gastronomic discoveries. I travel to Europe regularly on business, and although I had been to Paris many times in my youth, it had been over 25 years since my wife Amanda and I had been so this was the year. We spent a few days in Paris, a week in burgundy and topped it off with a few more days in Paris and London. Having been back home for just on three weeks now, I can say with conviction that this was the best holiday of my life. As wine and food professionals (in consumption terms), why did we wait so long? We travelled with our great friends Rob & Karen Gough and our 13 year old son Jasper. Four thirsty and hungry adults and a teenager just as hungry – and thirsty as it turned out – he liked the French protocol to wine at the table; a lot. 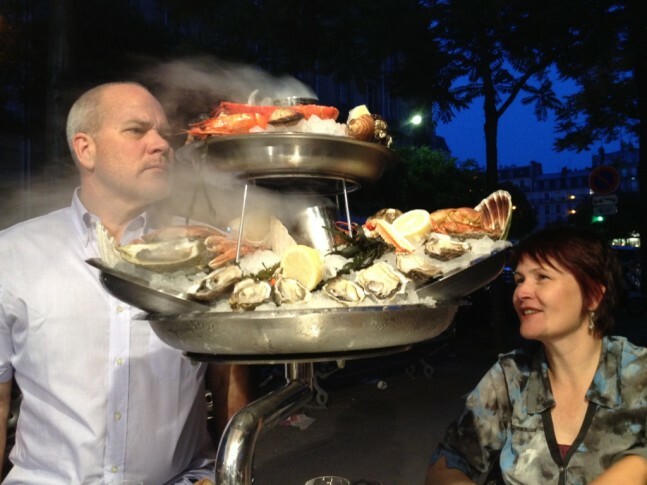 With a few days of shopping, ogling the food at the wonderful markets and drinking and subjecting ourselves to the compulsory arrogance, formulaic menus and wine lists at a couple of the classic Parisian Brasseries under our belts (literally), we were off to Epernay. [Note to self – catch the train next time; driving out of Paris is no longer on my bucket list]. I can see many of you sniggering as you read this. The charming people at Pol Roger were kind enough to show us through their Caves, taste a wide range of their wines and take us to lunch! Epernay is just fairytale perfect (www.ot-epernay.com), and Pol has always been our favourite of the larger houses, since being our bubbles of choice on our wedding day. Our destination after Epernay was Reims; what should have been, but was not, a mere 40 minute drive. [Another reminder to self – catch a train next time]. 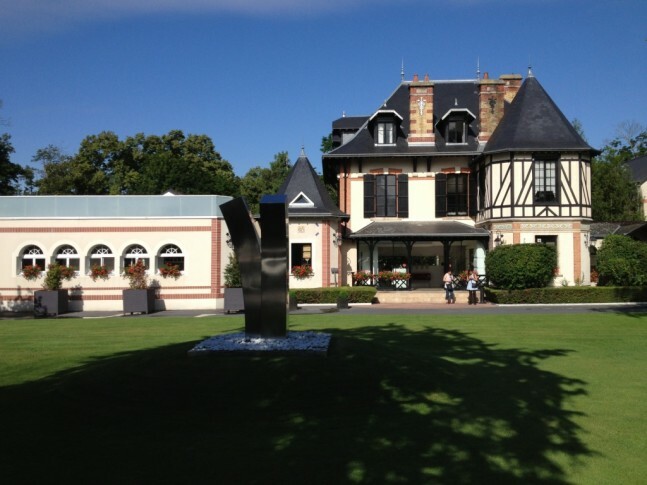 With a milestone birthday to celebrate, we were staying at L’Assiette Champenoise and dining at A. Lallement the 2 star Michelin restaurant within this stunning hotel. Off to burgundy we went the next morning, staying at a 17th century farmhouse in the quaint village of Suze. We chose not to stay in a hotel for the week as we wanted space, privacy and the flexibility of our own kitchen. 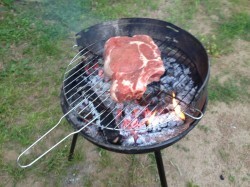 With all the magnificent produce abundant in the region, some home cooked meals were a must. Suze is about 30 minutes north-west of Beaune, and 45 minutes west of Nuits-St-Georges. But of course there are hundreds of charming villages in the region to choose from. 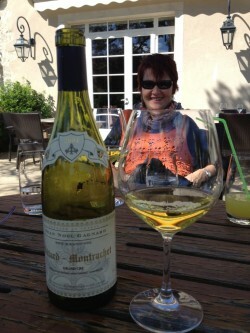 Our week in burgundy was nothing short of joy. The early July weather was kind; dry and warm enough with pleasantly cool evenings. We had some wonderful meals in restaurants that were recommended to us, and some interesting, memorable experiences at places we discovered ourselves. 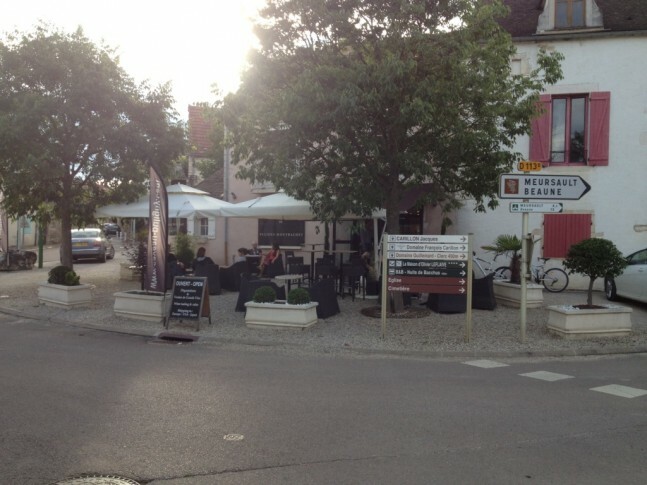 We found the Michelin guide to France iPad App invaluable as we zoomed around the excellent roads in the region, desperate for a last minute lunch booking. Amanda getting used to the local white wine! La Borne Imperiale in Saulieu. Saulieu is one of the larger villages close to Suze, and we spent a fun morning there walking the old streets and buying Lagouile knives in the local hunting shop. Well, Rob and I did anyway. More importantly, we pulled lunch out of the fire, after making our apologies and fleeing after we were seated, from a little café that was recommended to us by our landlord in Suze, and stumbling upon this cozy 2 star hotel and restaurant. The food had a wonderful home nurtured core and the dishes (and china) were thoughtful and lovely. The wine list once again was very good and prices excellent. 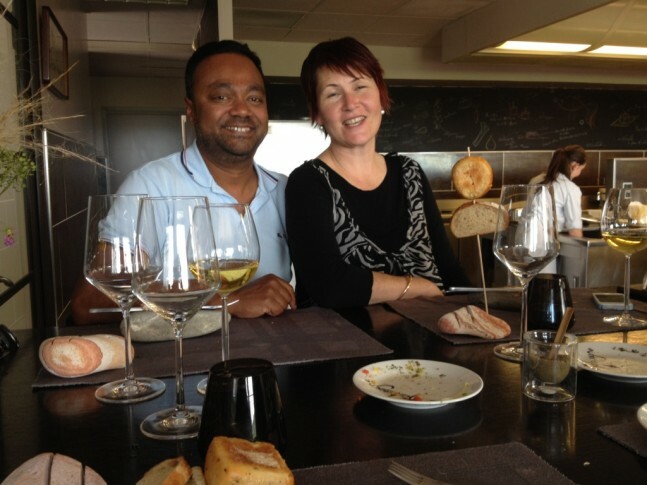 The owners Jean Berteau and his generous wife Marie-Christine were excellent hosts and were thrilled to hear we were from Australia, as their son was working at the Park Hyatt in Sydney as a pastry chef! Le Charlemagne in Pernand Vergelesses. After a grueling Sunday morning of castleing (the time honoured pastime of seeking out, investigating and traversing ancient castles, moats and all), hunger struck and we turned to the Michelin iPad App for guidance in securing a decent table for lunch. Several unsuccessful phone calls later, I got through to Le Charlemagne and was told brightly that yes indeed they had a table for 5, but it would be in the kitchen. Voila! We had to be there by 1:00, which left us a mere 15 minutes to get there… great driving Rob. This 1 star Michelin restaurant in the little village of Pernand Vergelesses, on the edge of Corton Charlemagne is one out of the box. Chef Laurent Peugeot and his wife Hiroko have created a modern burgundy meets Japan space that celebrates the produce of the region coupled with a modern Japanese sensibility. The table in the kitchen was an absolute bonus for our party that included two chefs. The food was dramatic, sometimes challenging and overall quite delicious. The service was good, the theatre of the kitchen fascinating and the vista over the vineyards of Corton Charlemagne nothing short of spectacular. The wine list was excellent once again, albeit a little more extravagantly priced in keeping with this setting. We wound our way back down the hill, reflecting on the wonderful week we had just had in this amazing place. We remembered a little wine bar in Puligny Montrachet that was recommended to us by the winemaker at Meo Camuzet, and made tracks there for a late afternoon glass or two. Two other restaurants we discovered are worthy of mention, for differing reasons. 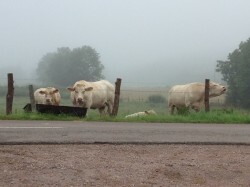 As we were a reasonable drive from Beaune and the main dining options, our dinners tended to be cooked at home (the local Charolait beef in burgundy is sensational, amazing on a hot coals BBQ) or in a neighbouring village. In the tiny village of Clomot, there is an old farmhouse that is home to Les Poulettes a Table; a restaurant in the loosest sense of the word. Rather, this space is the canvas for Marianne Bourgerie and Pat. B to paint their story, through the beautiful textiles they create and a kitchen that specializes in Crepes. contributed significantly to the jocularity the evening we dined there. There was a mix of locals and tourists there that night, but a table of performers from a local circus dominated the room. Well, actually make that the other local circus. We only visited two wine producers during our stay. They were certainly at differing ends of the spectrum. We were lucky enough to be hosted at Domaine Faiveley in Beaune and shown through their magnificent cellars and taste a range of their lovely wines. 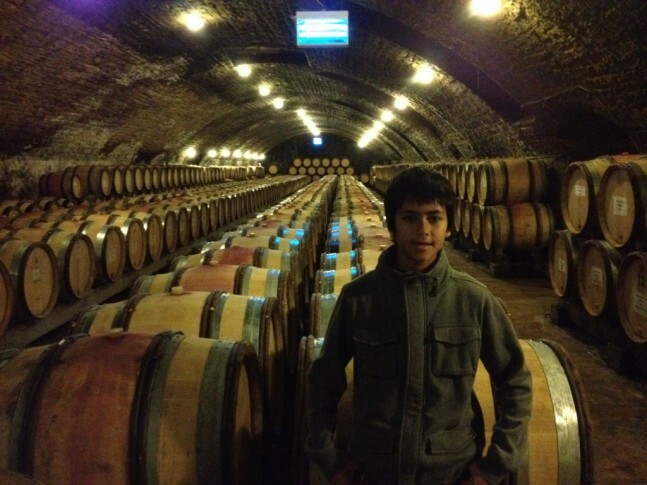 The depth of the Faiveley’s production across burgundy is impressive to say the least. A warm fuzzy feeling still comes over me when I think about that week in burgundy. The villages are postcard perfect, the people perfectly hospitable, the food glorious and the modern Burgundian wines have a purity and elegance second to none. We saw no green, stemmy and stalky wines that so often in the past framed red burgundy; rather the wines were ripe, bright and full of clarity. Next time, I personally will stay closer to either Beaune or Nuits-St-Georges, simply for more ready access to the vines and the many great restaurants to be experienced. Rob - hoping - to get used to the local red wine!